Vote for who can hold their tongue ! With the Election Commission’s plans to announce the Lok Sabha poll schedule in the first week of March, the countdown has begun for Narendra Modi’s tryst with destiny.Will his performance from the Race Course Road perch in Lyuten’s Delhi fetch him the coveted second term? In the Mandir politics, we have sadly lost sight of the great relevance Ram’s philosophy has for today’s India, where discrimination is rampant, inequalities are deep-rooted and harmony carries a premium. 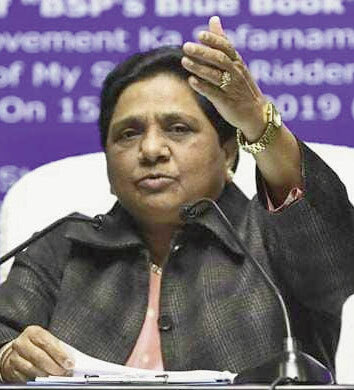 Mamatas, Naidus and Rahuls, as also Mayawatis, Yadavs and Pawars are banking on the elusive X factor to achieve “BJP Mukt” Bharat. 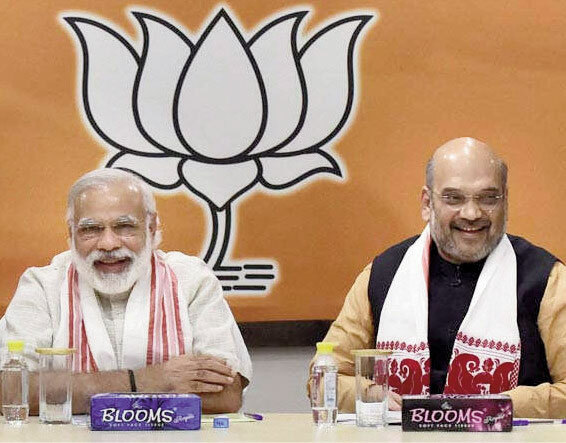 In the process, they have helped to mar the real Lal Krishna Advani’s dream of making the BJP occupy the central place of the Grand Old Party (GOP) in the Indian political theatre. Advani’s story of a tall leader sidelined during his own life time in the very party that he had helped to build with Ram and Hindutva as his clutches is as much a sad commentary on Moditva as on his own inability to read the changed pulse of the Parivar. 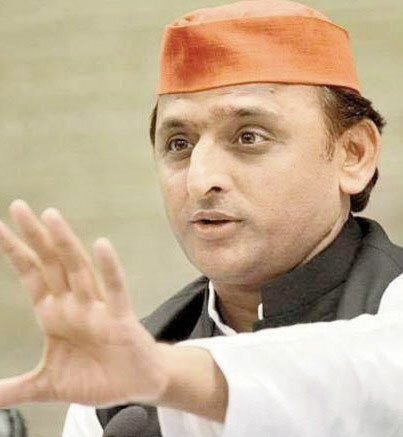 Interestingly, Ram no longer figures high on the BJP agenda, notwithstanding the publicly stated resolve of Hindutva practioners to build a grand temple at the birth place of Ram Lalla; Yogi Adityanath’s plans for a Ram Statue on the banks of Saryu River are a consolation prize at the best. Bhaiyyaji Joshi, Sarkaryavahak of the Hindu Brother-hood, RSS, has made this abundantly clear in his Kumbh Mela lecture delivered two days after Makar Sankranti on 17 January. “Our mission is to get Ram temple constructed by 2025”, he said, which in effect means that the Parivar is not pushing for quick fix solutions for Ram Lalla temple. Joshi-speak comes as a big disappointment to the secularists, who have been girding up their loins for a show down with the Parivar and its proxies. It is, however, sweet music to Modi-Shah combine, who have sleep walked into the temple trap in what was no more than an effort to please the Parivar, and its extended arms. As Prime Minister he is duty bound to uphold the constitution and the law. This is one reason why he has allowed his Sancho Panza to sing the old theme while he himself goes about accusing Congress and its friendly lawyer fraternity of turning Ayodhya title dispute hearings into a hurdle race at the Supreme Court. As the man in the driver’s seat, Narendra Modi has a great responsibility in leading the march from the front. It is an historic opportunity that beckons him and his ilk. History will be truly unkind if he shuns or ducks. In fact, all the leading lights of the Hindutva will also do well to read the writing on the wall and ensure there is no room for the lament “Yeh Mulk Mera Hai, Mujhe Koi Nikaal Nahi Sakta”. Well, Modi took care to say that a temple ordinance will have to wait “till the legal process runs its course.” That was no big concession though. As Prime Minister he is duty bound to uphold the constitution and the law. This is one reason why he has allowed his Sancho Panza to sing the old theme while he himself goes about accusing Congress and its friendly lawyer fraternity of turning Ayodhya title dispute hearings into a hurdle race at the Supreme Court. In the Mandir politics, we have sadly lost sight of the great relevance Ram’s philosophy has for today’s India, where discrimination is rampant, inequalities are deep rooted and harmony carries a premium. Whether Ram is accepted as God or as a king of repute, there is an unmistakable symbolism our netas have not paid attention to the message inherent in the Gandhian creed of Ram Rajya thus far. Like Hinduism, Ayodhya Ram’s rule represents a philosophy that encompasses all walks of life. And it shows how a king should conduct himself. Put differently, Ram Rajya is good governance particularly at the cutting edge, and it is to this principle that Gandhiji had strived to draw every one’s attention with his observation that “India lives in villages”. What we have done in Independent India is we have reduced Ram to an election symbol and gave a go-by to the universal concept of service to the poor and needy. Of course, there is no gain saying the fact that Gram Swaraj could have provided manna we badly need and helped us to address many of the ills afflicting Indian economy. Certainly, farmers would have found no need to end their lives in distresseven when there is bumper crop. For farmers, animals are an asset in terms of household economy and farming alike. No surprise therefore, Indian villagers worship cows, oxen, and buffalows during Makara Sankranti, which is a 3-4 day festival of harvest. In several parts of India, travel is prohibited on the day of cattle worship with everyone subscribing to the age old adage that not even crows fly out today. Shorn of religious symbolism, what this practice means is that let us not take out our bullock carts on the very day we are worshiping our animals. It highlights the importance of cows and other cattle, which are revered irrespective of religious, caste or community considerations. Milk and curd remain the same whether its consumer is a Hindu, Muslim or Christian.Cow does not ask caste and religion before giving its milk. Nor does it resist milching just because of your caste or creed. Milk and cow dung have no religion. Trivialisation of cattle in the name of Hindutva and drawing blood in the name of stray menace or ‘prohibited’ meat lead India nowhere. Agreed these traits have made their presence felt over the past four years. Whether the Hindutva champions are guilty (they are indeed, going by an overwhelming view) or whether anti-social elements exploited the fluid social scene with the full backing of vested political interests(Parivar view)is a debate that will make us miss the woods for the trees. The need is for enlightened thinking, an ability to appreciate and welcome all that has come down the ages. Let us not belittle what is written in ancient texts in fields as diverse as Astronomy and Ayurveda just because these are not known to or not endorsed by Ivy Leagues of Eldorado we are familiar with today. Indians should not become hostage to political labels and religious brands that have neither a bearing nor a meaning either in the past or in the present- most certainly in the future. Let us not become ignoramus of our heritage, and culture, which are India’s strength, and thus become victims of competitive politics for power. 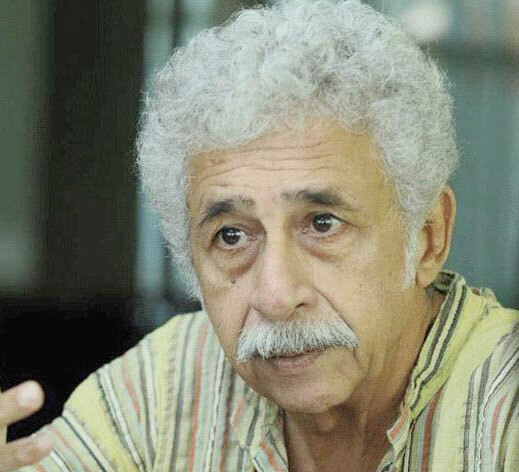 Naseeruddin Shah While on religion and Indian society, celebrated actor, Naseeruddin Shah say she is angry though not scared by what is happening. Why should anyone be scared? Some may have made it their agenda, and they may want to force some sections to feel scared. What will they achieve except deepening the fault-lines we have inherited 72 years ago. We, as a nation of 125 crore people should not allow the creed of fear to spread or succeed. Naseeruddin Shah has articulated this very sentiment when he said: “This is my nation and if something wrong is happening here, it’s my duty to speak against it. If an angry mob surrounded my children, and asked if they are Hindu or Muslim, they would have no answer. My five generations have been engraved in this nation’s soil and my children will also stay here till they die.” What made Naseeruddin angry makes everyone of us angry too since all of us are stake holders in the well-being of this country. Naseeruddin Shah has said: “This is my nation and if something wrong is happening here, it’s my duty to speak against it. If an angry mob surrounded my children, and asked if they are Hindu or Muslim, they would have no answer. My five generations have been engraved in this nation’s soil and my children will also stay here till they die.” What made Naseeruddin angry makes everyone of us angry too since all of us are stake holders in the well-being of this country. Pertinent to recall is the observation of a Telugu poet, Devulapalli Krishna Sastri (1897 –1980), who is known as Andhra Shelly,for his romantic and passionate poetry: “Narayana Narayana Allah Allah, Narayana Moorthy your children we are all….If religion is to blind my eyes, religion is not for me. Allah O’ Allah we are all your children”.Whoever be the practioners or proponents of cow jihad and love jihad or whoever has exploited these very issues, like they did with award vapasi campaign will have to pay a price when they knock at the ballot box. This is the message that is still relevant from the historic 1977 election that had proved beyond an iota of doubt that all short term pursuits carry a long term political cost. 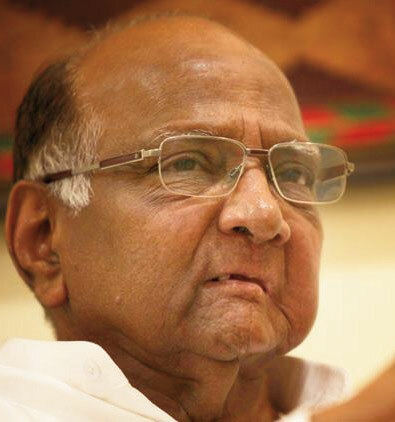 Now that a senior RSS leader has quietly pushed Mandir to the back burner, the Congress party can legitimately feel that it has been let down, very badly. And its chief Rahul Gandhi can go about charging the “Chowkidaar” with cheating him of a key plank.If the expectation from the mandir roll back is that GOP Netas particularly Young Turks schooled in social media will give up their time tested weapon for flying paper planes hoping to spread Rafale dismay amongst the Parivar, disappointment is bound to stare at them. In political wars, neither truth nor fact is sacred. What only matters is the ability to speak as the custodians of truth and upholders of national interest. This tribe is not in short supply in ourland. Modi could have avoided the Rafale blues had he turned to his own acclaimed oratorical skills to debunk the criticism. He did not and stuck to his attacks on the First Family that have lost their novelty value, and have since become repetitive. Claiming the martyr’s status as he is doing these days by telling people that the Mahagathbandhan was a gang up against him is neither here nor there. So is the claim “Some people are angry as I prevented themfrom looting public money”. 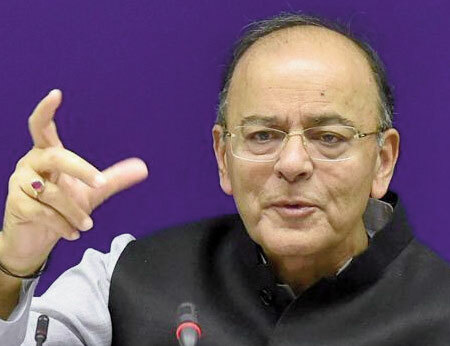 Arun Jaitley Equally puzzling is his continued reliance on Face Book posts of ailing Arun Jaitley, and the faceless defence spokespersons, who have gifted a refurbished Rajiv era Bofors gun to Modi detractors, who like their by-gone era peers, have allowed themselves to become proxy parties to a ‘’war’’ being waged by the Eurofighter Typhoon Consortium (itcomprises leading aerospace and defence companies from the United Kingdom, Germany, Italy, and Spain), which has lost to Dassault Aviation of France. The deal was worth Rs.58, 000 crore. It was for the purchase of 36 multirole fighter aircraft, the IAF says are essential to keep it combat ready on the Eastern and Western Borders. 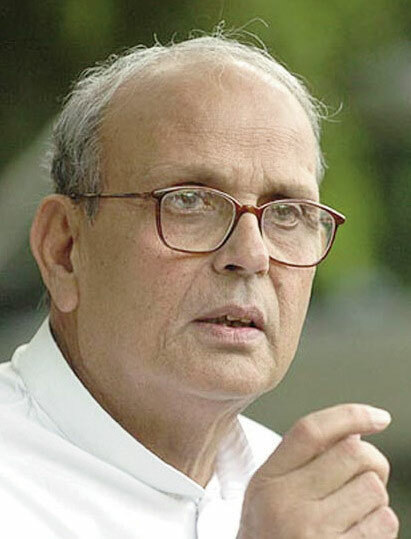 VP Singh Like in all defence deals, in the Rafale deal as well, the controversy is political at its core. So far, no scam has been made out. 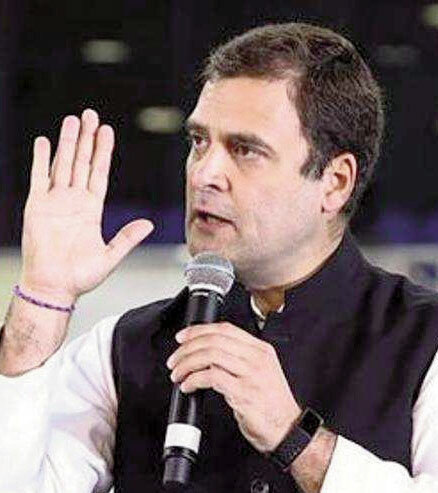 The Rahul-led Opposition will certainly do its best to present a scam angle right from early March, when the poll dates will be announced till the election is completed in May in over seven to nine phases. Will they succeed and reap electoral dividends like Mandal Messiah VP Singh et al did during the Bofors saga? The answer to this engrossing question only Narendra Modi can provide. If he shows leadership deficit, as some commentators say he suffers from, history will repeat. And Mamata ‘Didi’ will have reason to sport a smile since she has already declared, “Modi govt is past its expiry date”. 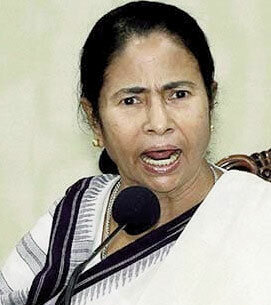 But if Modi manages to change the narrative, and demonstrates that he is, indeed,the transformational leader committed to walking the talk on uplifting the disadvantaged sections, the Mahagathbandhan leaders, who gave a war cry 'Delhi mein sarkar badal do' (change the government at the Centre) from Kolkata's historic Brigade Parade Ground on 19 January,will slip into a long introspection mood. Like in all defence deals, in the Rafale deal as well, the controversy is political at its core. So far, no scam has been made out. The Rahul-led Opposition will certainly do its best to present a scam angle right from early March, when the poll dates will be announced till the election is completed in May in over seven to nine phases. Will they succeed and reap electoral dividends like Mandal Messiah VP Singh et al did during the Bofors saga? One thing is certain as of now based on what leaders from both sides of the divide- some of them senior politicians with long years in Parliament, have been saying against each other from public platforms. 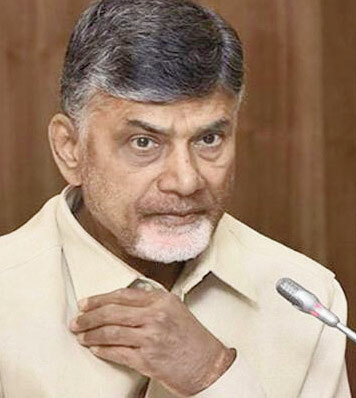 It is that there will be a new low in political discourse during electioneering that will cover some state assemblies notably, Andhra Pradesh and Sikkim besides the Lok Sabha. Social media will be pregnant with fake news. Already several WhatsApp groups have sprung up to wash the dirty linen of the rivals, and to project their own man as Tinopal White. 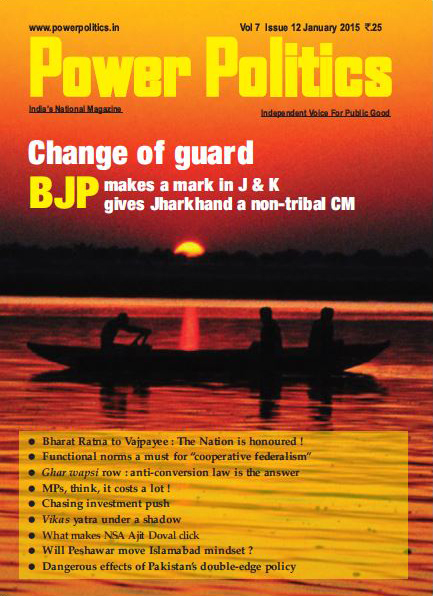 Paid News will have a field day tantalising the cash strapped print as well as electronic media notwithstanding the eagle eyes of the Poll Body which will find itself searching for new codes to address the hyper active and highly insensitive alike. New expressions, phrases and words will enter the political lexicon making the sane-minded wonder whether the country deserves leaders who suffer from FIM (Foot in the mouth) disease.The illiterate voter may say: “My vote is not for NOTA but to those who can hold their tongue”.